See more objects with the color midnightblue tan teal darkcyan grey or see all the colors for this object. This is a Surge Protector. It was invented by Dr. Garthen Leslie, Charlie Dougiello, Jake Zien, Sonia Covarrubias-Garcia, Jacob Bonaire, Spike Mendelsohn and Richard Moreen and designed by Quirky and manufactured by Quirky and General Electric Company. It is dated 2013. Its medium is plastic, electrical components. Zien got the idea for Pivot Power while trying to fit several power adapters into one surge protector. Zien submitted his idea to Quirky in 2010 as a student at RISD. 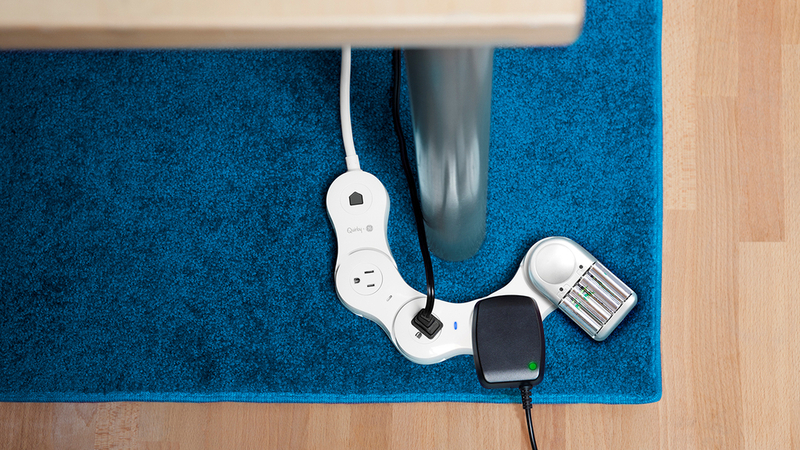 Pivot Power Genius is an app-enabled version of Zien’s original power strip, which bends to fit various plugs and adapters. This version allows users to control two outlets from a mobile device.